MBBS is an undergraduate professional program for the students who want to pursue the study in medicine and surgery. Finding the scholarship opportunities for MBBS program is a tedious task. But there are myriads of option available for the outstanding foreign students who are looking for funding their MBBS program. After earning MBBS degree from China student can pursue a postgraduate degree to add more credentials to their medicine degree. However, they can add title of Dr., to their names and can start practicing medicine either in China or at their home countries. Moreover, they can join the research work in the medicine and healthcare industry. 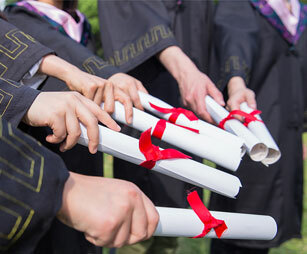 Some schools in china offers very limited need-based and merit-based scholarships to the international students. For need-based scholarship, student has to complete International Student Certification of Finances and Financial Aid profile. First-time incoming freshman having extraordinary student profile can be given funds starting from 3000 RMB/YR to a full attendance cost. This is a big chance to apply for scholarship since the economy is bad, and most parents have difficulties in getting enough money to pay the full fees. Hopefully it’s not 100 percent accurate, but there's definitely some truth to that statement. While parents still very much value contributing to their children's college tuition, the amount that families can afford won’t be enough. The cost of college living is getting expensive day by day. Most students plan on living at home and commuting to school, which is a very good option for a lot of college students. Scholarship for MBBS provides an opportunity for many people who have the desire to earn a medical degree but due to finances, their dreams are cut short. Without assistance from an outside source, most students may have trouble paying for their medical degree in order to enter the medical field and become a contributing member to the health associations. The funds for scholarships come from a variety of sources. Government and private donors make a large contribution to this development by providing education for brilliant but needy students. Annual fundraising events organize by institutions nationwide are directed to this purpose. There are few universities in China that provides scholarship for international students who wants to study MBBS in English medium. International students who want to apply for scholarship in China have to be part of the best students in their country and earn high marks in their final exams.